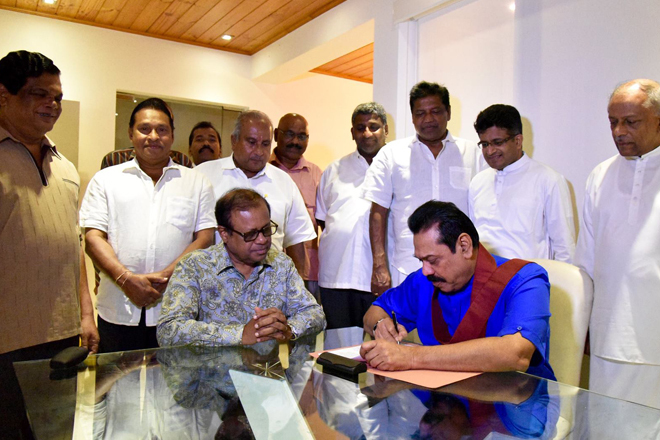 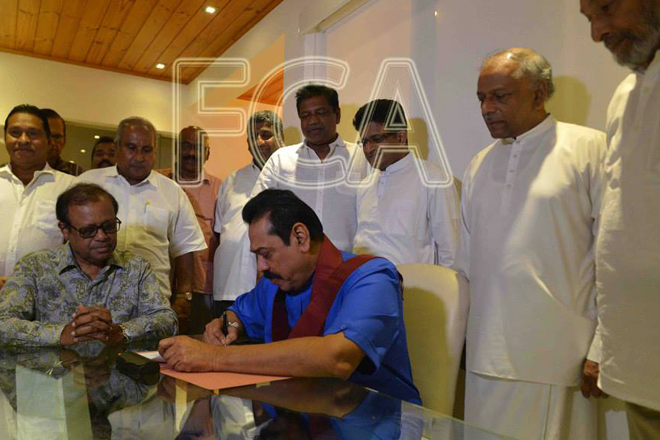 July 10, 2015 (LBO) – Sri Lanka’s former President Mahinda Rajapakse has signed his nomination papers to contest the upcoming parliamentary elections at his home near Colombo on Thursday night contrary to claims that he signed the papers earlier in the day, posting photos foreign correspondents association said. 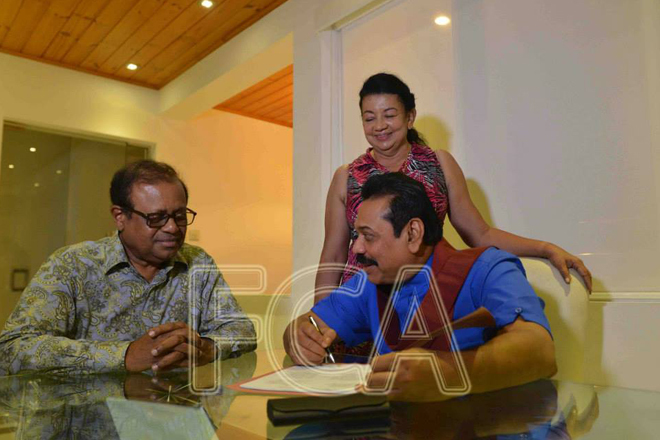 AFP’s Ishara Kodikara was at the former leader’s house when he signed the papers before UPFA General Secretary Susil Premajayantha and some of his loyalists, the association further said. 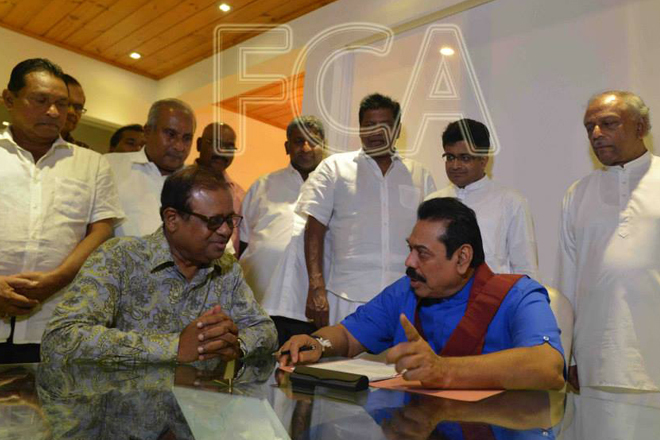 Former President’s social media accounts have also confirmed the news.